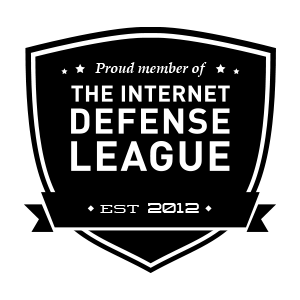 I’m underemployed and because of that, I don’t post my unique articles and stories at my weblogs. I send it to commercial publishers who only accept unique unpublished articles. Although most of my posts are just ‘copy and paste’, it takes me one or two hours just to scan on-line papers and journals for the best articles and process it. I could write an original piece in just half an hour but I need to write commercial articles more. I don’t think TIME would publish one of my letters if I am not original. Anyway, anyone interested could read my original articles at EzineArticles and ArticlesBase. 1. When you want experience and skills you couldn’t otherwise afford. The best freelancers are independent for a reason; they can make more money freelancing than they can working in a salaried position, and they have more freedom and flexibility, to boot. They’ve worked for the broadest range of clients and delved into the greatest variety of subject matter. Chances are they know how to best meet your communications objectives because they’ve been there before. 3. When you want a writer who doesn’t cost a dime. Sometimes it’s hard to know who works for whom these days. If you are looking for work to keep your salaried employees busy, then you are working for them! A freelancer requires no upkeep, no desk, no space, no benefits. You don’t have to pay him to chit-chat with co-workers, keep up on Facebook, go to the bathroom, or pick his nose. Think of all the time an employee can waste. Think of all the time YOU can waste making sure he doesn’t waste his! You can use a freelancer only when it will be profitable for you, when there’s a budget for it, or when you can bill the time to a client. In the end, a good freelancer doesn’t cost you money; he makes you money. The ratio of “hours actually worked” to “hours paid for” is always 1:1 with a freelancer. What is it for a salaried employee? 4. When you want a lasting, long-term resource. Some people see freelancers as the option of last resort, folks who can’t get real jobs, who are unreliable and sleep until noon. I am sure this type of hippy-go-lucky writer exists. But he won’t last long. Having been in business for 23 years, I can tell you that a reliable independent writer can be found. The trick is to find a good writer with whom you can form a lasting relationship. That way he looks to you for ongoing projects, and you can look to him as a reliable source of creative services. It’s a nice symbiotic, permanent relationship. The company account stays balanced. The quality of the work is high. Deadlines are met. The boss or client is happy. And you get peace of mind. What’s that worth? Your marketing and communications materials are like a three-legged stool supported by writing, graphic design, and production. If any one of those is weak, the whole piece collapses. A seasoned freelancer can help make sure your communications stand up and stand out. 2.Organizing and sharing the best and most relevant content on a specific issue on-line (content curating). 3.Book reviewing –I can make a review of a regular-sized book in one to two days. While you need to be hands on to actually land a project, all the back and forth necessary to get the project set up (getting approval on a contract, getting basic information, and so on) can be handed off to a virtual assistant. Depending on the size of your client’s company, you can bet that the head of the company isn’t handling details on his end. With some clients, having to send reminders is a fact of life. You need to send reminders about invoices, about information you need and everything else. You may just need to cut and paste an email and send it, which is not a particularly effective use of your skills. There are probably newsletters, junk mail, and piles of other emails sitting in your inbox right now, hiding all the worthwhile client emails that will actually make you money. A VA can clear out the less useful items and, if you give him some autonomy, answer the more basic emails. It seems like it can take days of back-and-forth emails to schedule an appointment sometimes. When you’re giving a virtual assistant some autonomy to handle your email inbox, hand over your schedule as well. As long as you tell your virtual assistant when not to schedule appointments, she can handle getting them set on your calendar. It’s good practice to do some due diligence on any clients you’re considering working with. A good virtual assistant can run those Google searches that we simply skip when we get busy. After you’ve been staring at a project long enough, your eyes can start to glaze over. A virtual assistant can step in and make sure that you’ve got all the bits and pieces that the client initially asked for before you send it on. Congratulations Poch! Unfortunately, I had to ‘Wiki’ the word, Ezine, but now I seem to know what it is 🙂 So, I would like to add your link to my blog and also send a track back to your above inspirational handicap achievers article, if I have the permission to do so! Rachana -what a unique and beautiful name. Of course you have my permission. In fact I’m flattered. You’re permitted to use all my pieces the way you want to. Thanks! 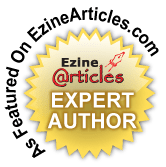 Do you have links to your EzineArticles and ArticlesBase articles here on your website? If so please point towards them.